"Christie is wonderful to work with. She helped my husband buy his first house before he met me. Then when it was time for us to find something bigger for our growing family a she helped us find the perfect place. Now possibly looking to sell again we will be turning to Christie because she has become someone we can truly trust for truth, honestly and amazing personality. Not only that she does what it takes to provide above standard service." "Christie found us our perfect starter home in 2011 in the best location! And it only took her one day! She let us make our own decisions and was supportive the whole way through. She's well connected to all types of people from bankers to inspectors which was helpful as first-time buyers. Christie is a great listener and really easy to get along with. We will definitely work with her again when the time comes to sell." "As a military family, postings do not always allow for selling/buying your home at an optimal time. This is why, when we were posted in August 2014 out of Edmonton, we did not hesitate to contract with Christie Bergman to sell our house. Christie's professionalism, experience and confidence are incomparable, but even more important to us is her integrity, sincerity and honesty. Her marketing strategies and resources, commitment to getting to know us and our goals for the sale further helped us throughout the challenging process of relocating across the country while selling our home late in the season. A further bonus in working with Christie is her passion for educating her clients about all aspects of their sale/ purchase. With Christie you finish with so much more than a signed deal and fair market offer!" "Christie helped us buy our house two and a half years ago. She was amazing to work with! She listened to what BOTH ( which isn't easy) my husband and I were looking for in a property and found us our dream home. She made moving so stress free. We have referred her now to our friends and every single one of them has had the same awesome experience...She is always working for you whether she's buying or selling houses. She is Funny, Smart , and so Passionate about real estate." "Buying our second house was very stressful and difficult. Fortunately, we made the smartest move we could have done and got Christie as our agent. As a Realtor, she provided amazing guidance and made us better, smarter buyers. She made us realize things that we didn't take into consideration before we had her as our agent. I am absolutely certain that we would have ended up with the wrong house if not for her. She is also very professional, helpful and efficient. She took the worry out of buying, and made the entire process so much smoother than we could ever imagine. As a person, she is absolutely the best! Thanks Christie, we love you and you are our realtor for life!" "Christie is an amazing agent . We went through an amaizing journey ended up by finding my perfect first home exactly the way i wanted it to be within a very short time.She is one of the top real estate agent in the city and has been recommended to me by many people . She is a hardworker , an easy going and honest person. I highly recommend her for my friends and collegues. Thank you Christie for making my dream come true." "Christie I have always felt I could trust you! 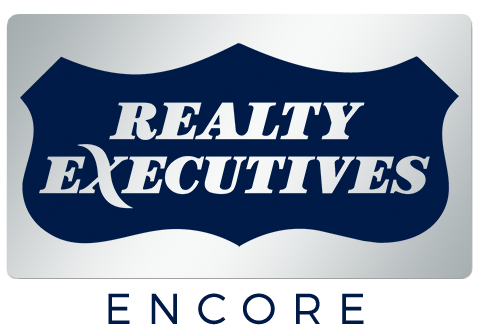 As long as you are in the Real Estate Business no one else in Edmonton will get my referrals but you. Don, Debbie and Candace love you! Thank you So Much. ~"
"Christie was fantastic with the clients I referred to her when they moved from Calgary to Edmonton. Her communication and professional representation was reassuring to everyone involved. I feel confident with sending referrals to Christie." "It was important for our REALTOR® that we find a house that we both loved. I am happy to say that she did find us that house and we have a home that we hope to start our family in. Christie helped us find a house that we would’ve passed over on the MLS Listings and negotiated our price. She also referred to us a great inspector and lawyer. She is sincere and honest and very nice. If I ever buy a house again, I would work with her and trust in the process." "Christie sold our home for TOP dollar in a difficult market. We were selling a townhouse, while all the other townhouse in our row were selling between $240,000 and $260,000, Christie sold ours for $280,000 within days! She knows the market, she knows how to stage, she knows how to represent you and your home. She knows the business better than anyone. She has the right personality, mentality and language. She knows how to bring together different strategies and details that make a difference IN SUCCESS! I found Christie by chance as my REALTOR®, and by choice have became fantastic friends! Christie is a phenomenal Realtor, she is a phenomenal person, you will fall in love with what she can do and who she is! I Did!" "Christie's passion and enthusiasm for real estate was obvious right from the beginning. She really listened to us, combining her knowledge of the market and our needs to find us our perfect home." When we were looking to buy our first home 3 years ago, we got a great referral from our mortgage specialist at our bank. When we first met Christie, we were very impressed with how friendly and knowledgeable she was. She spent a generous amount of time searching for the perfect homes to show us. She made sure to even show us homes that she knew we would pass on, just so we had an idea to compare to the ones we loved. She stayed by our sides through every step of the way, and made the house buying process a breeze. We love our home for now, but if we ever need a realtor again, we would use Christie.